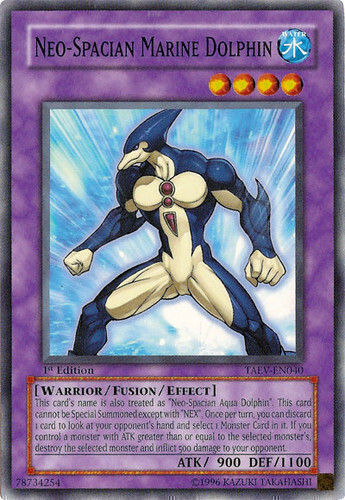 This card's name is also treated as "Neo-Spacian Aqua Dolphin". This card cannot be Special Summoned except with "NEX". Once per turn, you can discard 1 card to look at your opponent's hand and select 1 Monster Card in it. If you control a monster with an ATK greater than or equal to the selected monster's, destroy the selected card and inflict 500 damage to your opponent.